The Shutter Event comes with a encoder motor which enables a very smooth movement by hand or DMX desk. Of course, the normal Licht-Technik features like lightened LCD display with plain text instructions, high density aluminium construction and powder coated surface are still implemented. The device can be ordered in different colors, for example silver, so it fits to the lamp. Optionally, we can offer a built in power supply. 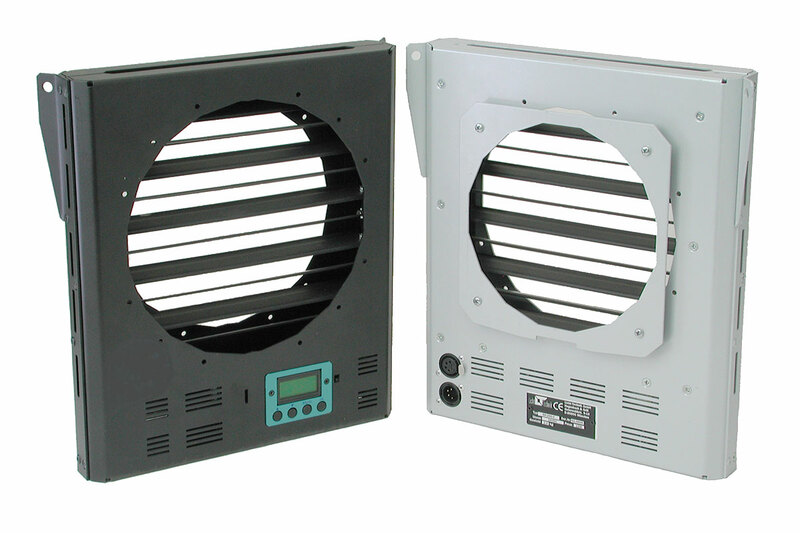 The device is designed for dimming daylight on stage, event and trade fair.